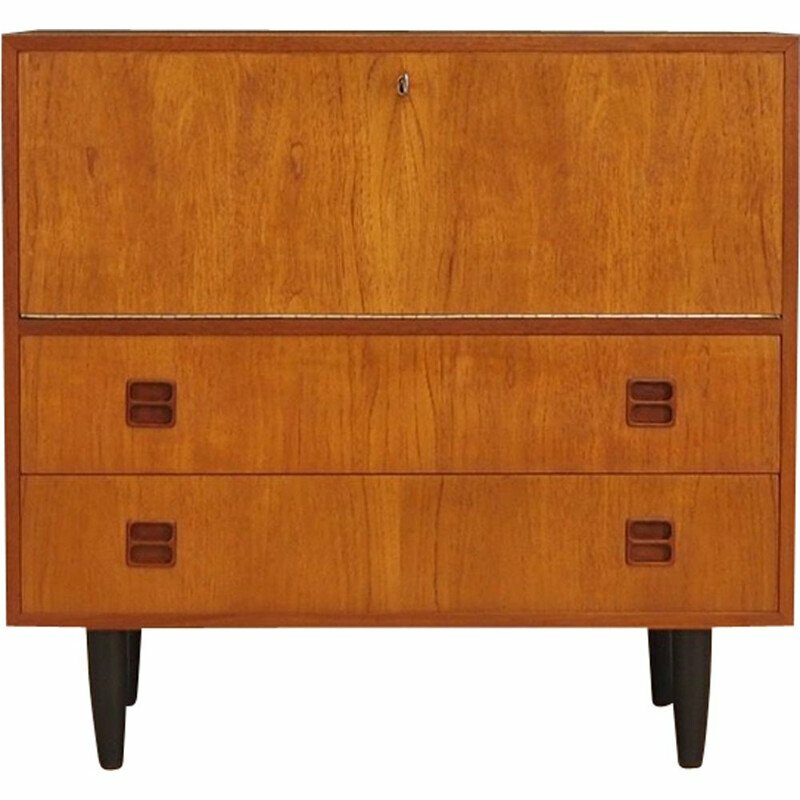 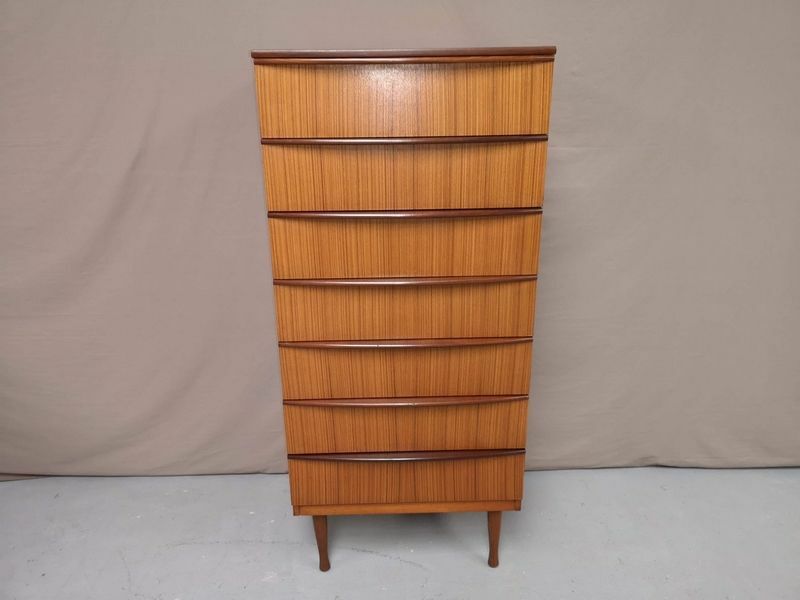 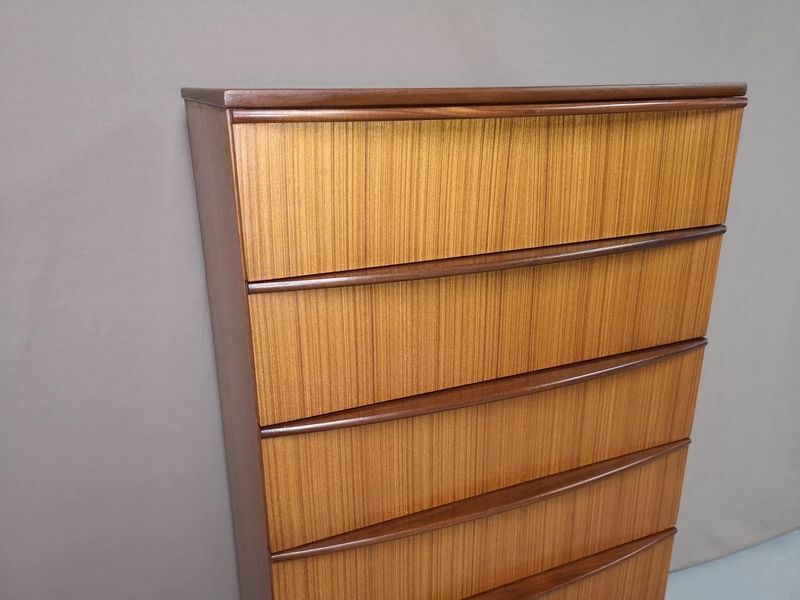 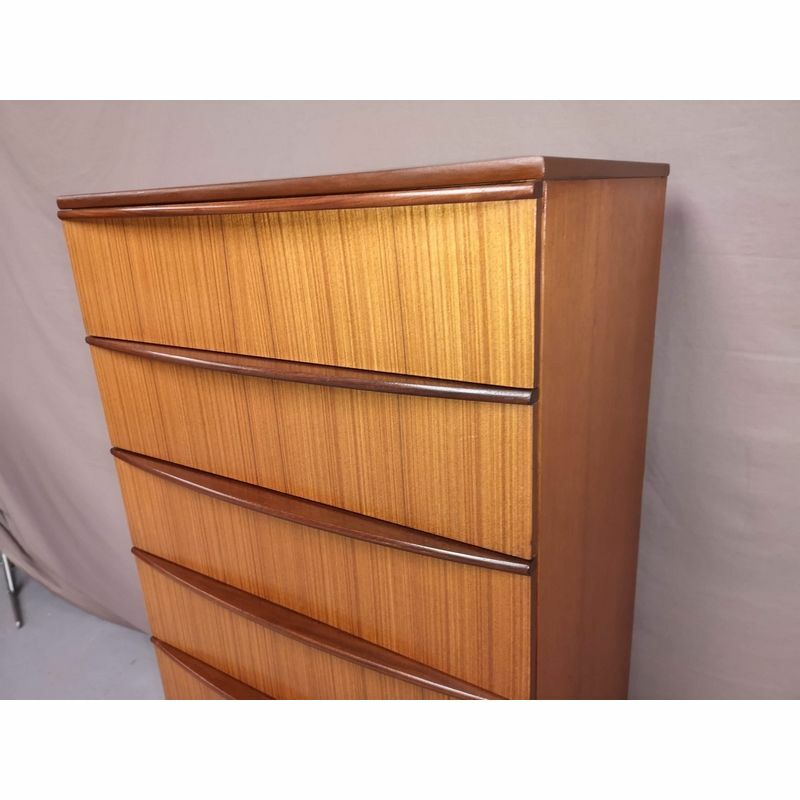 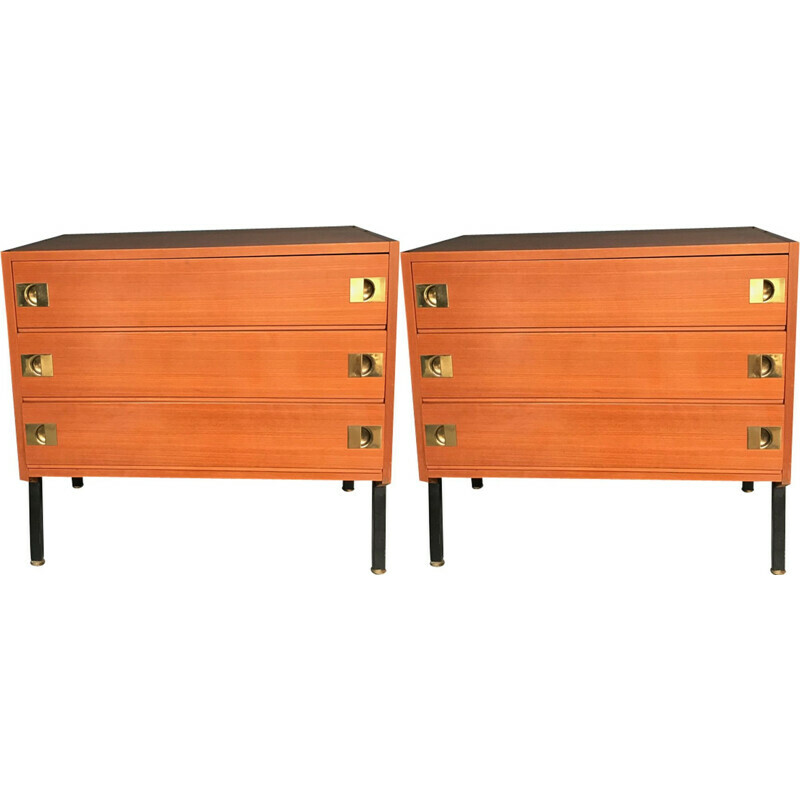 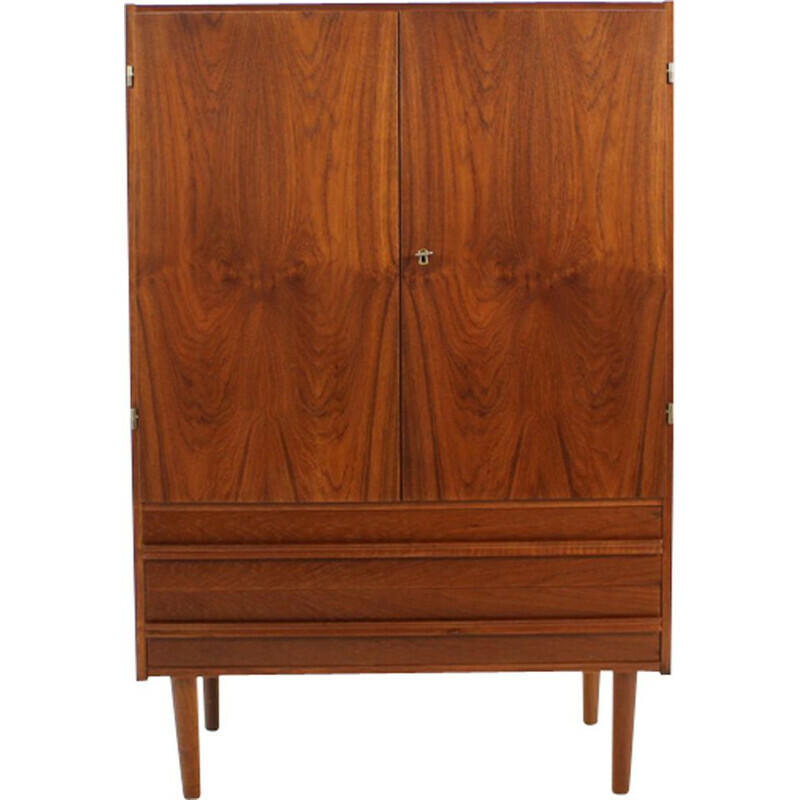 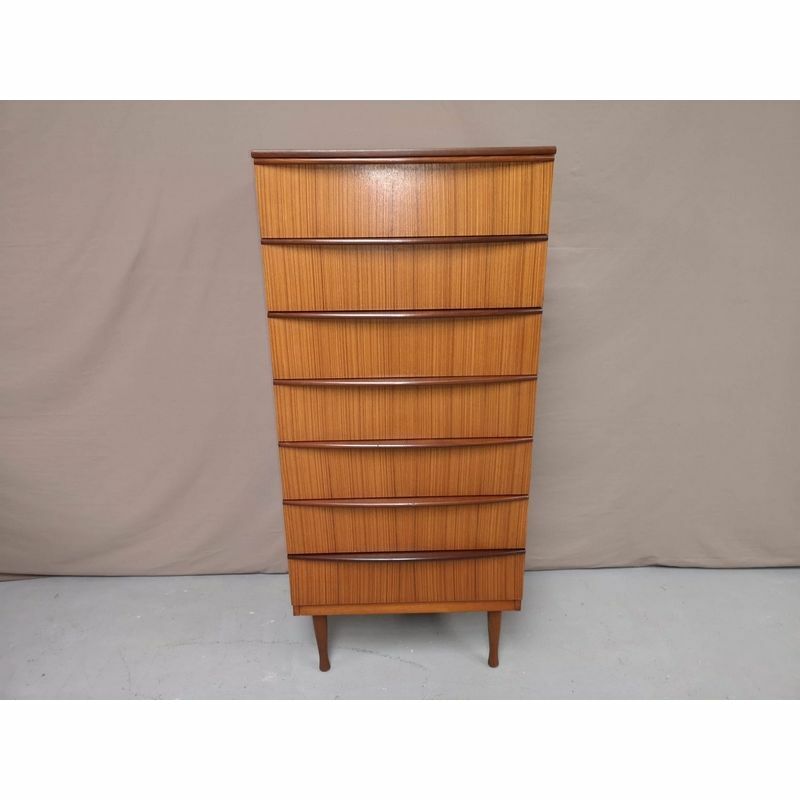 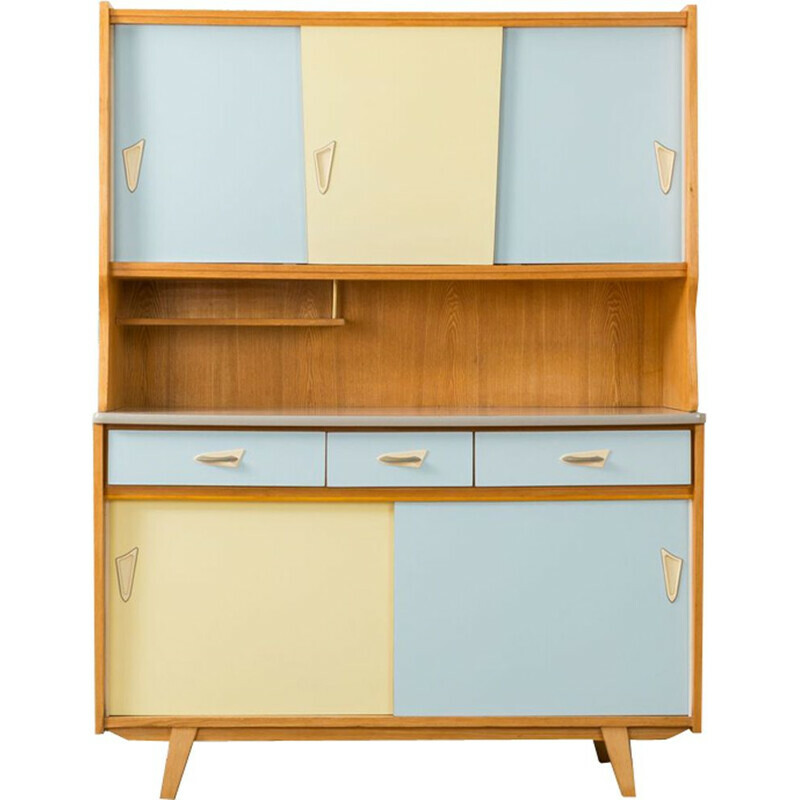 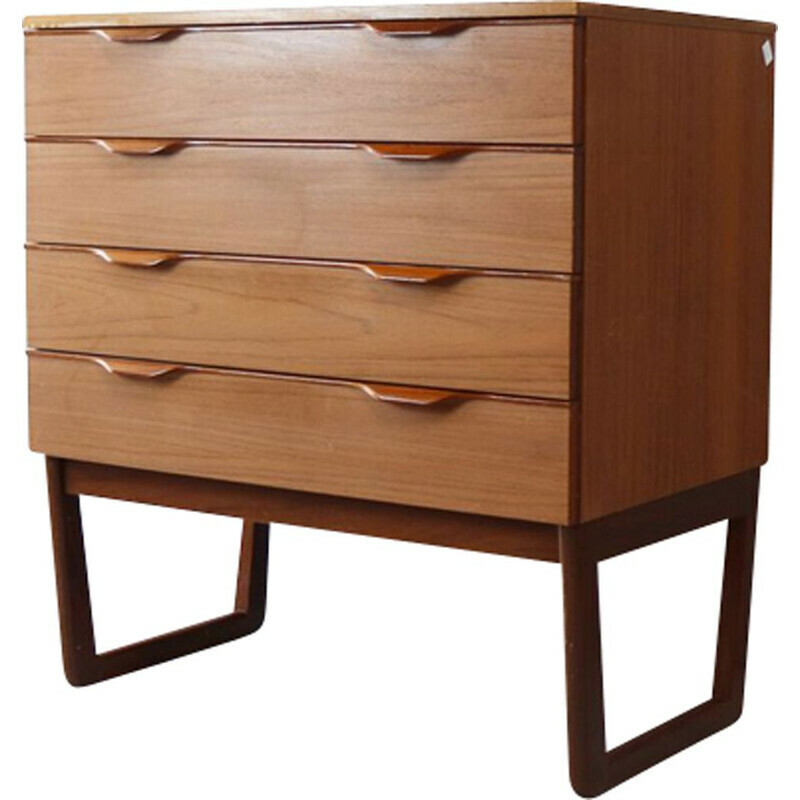 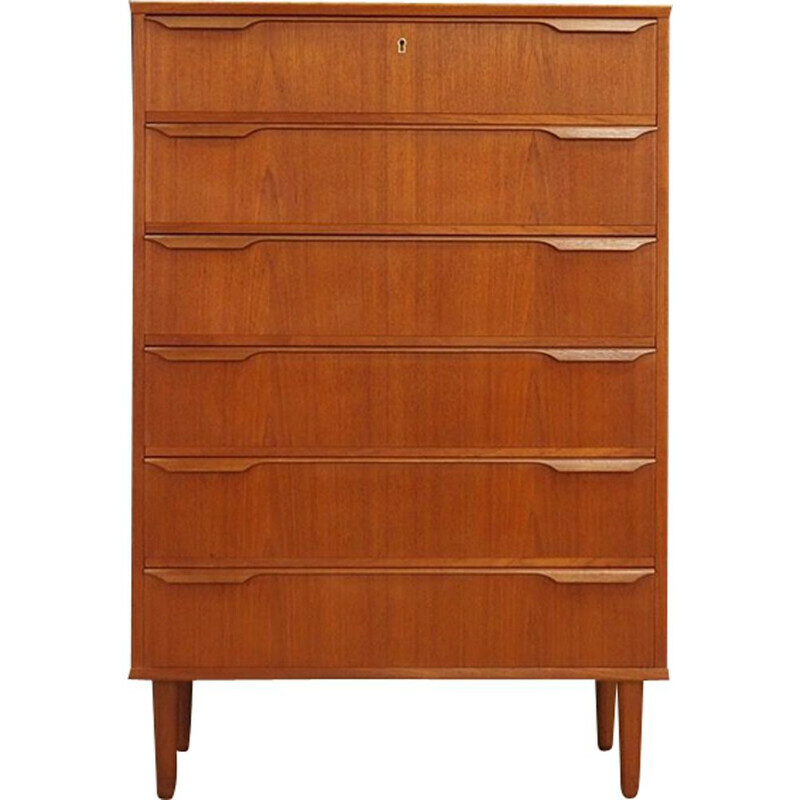 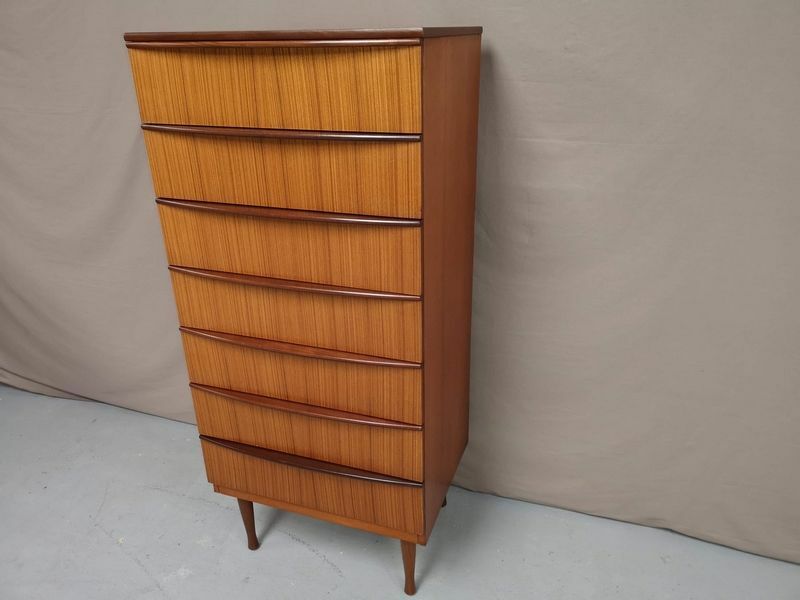 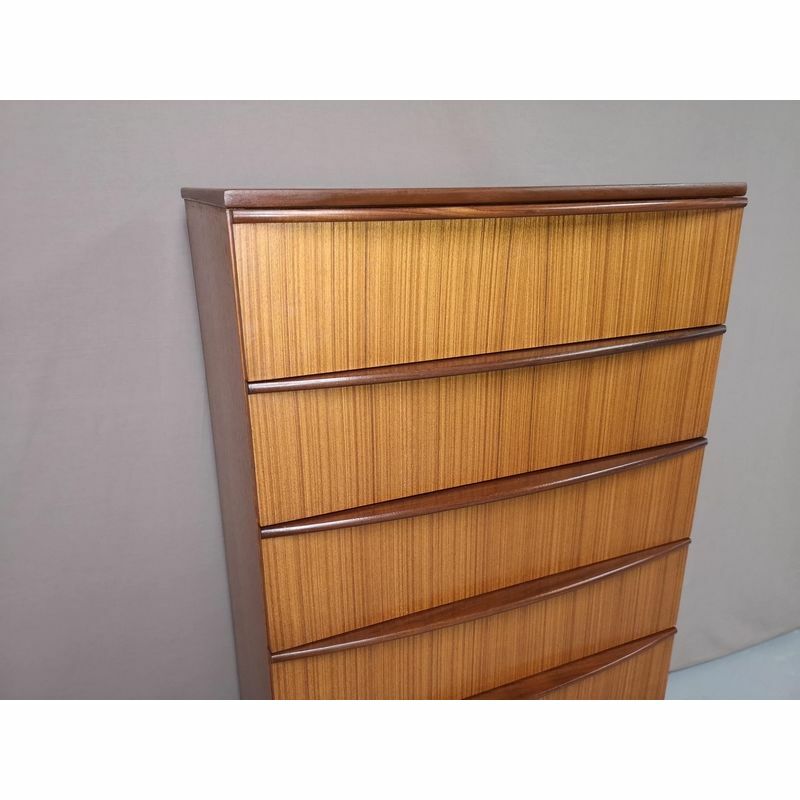 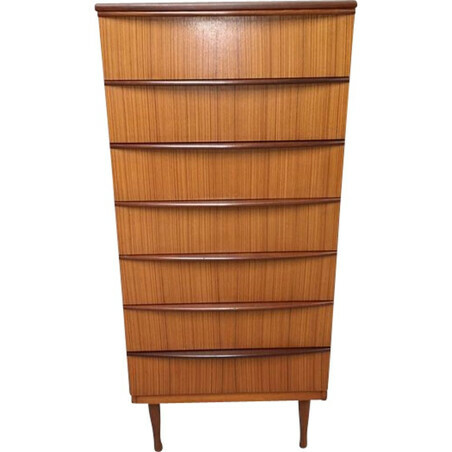 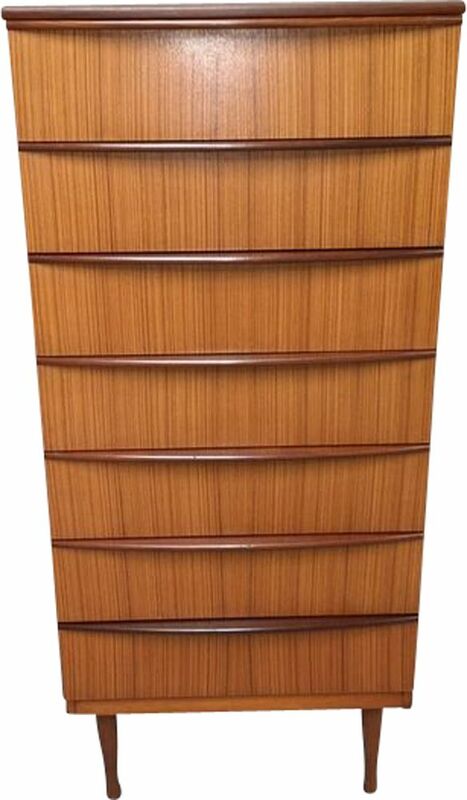 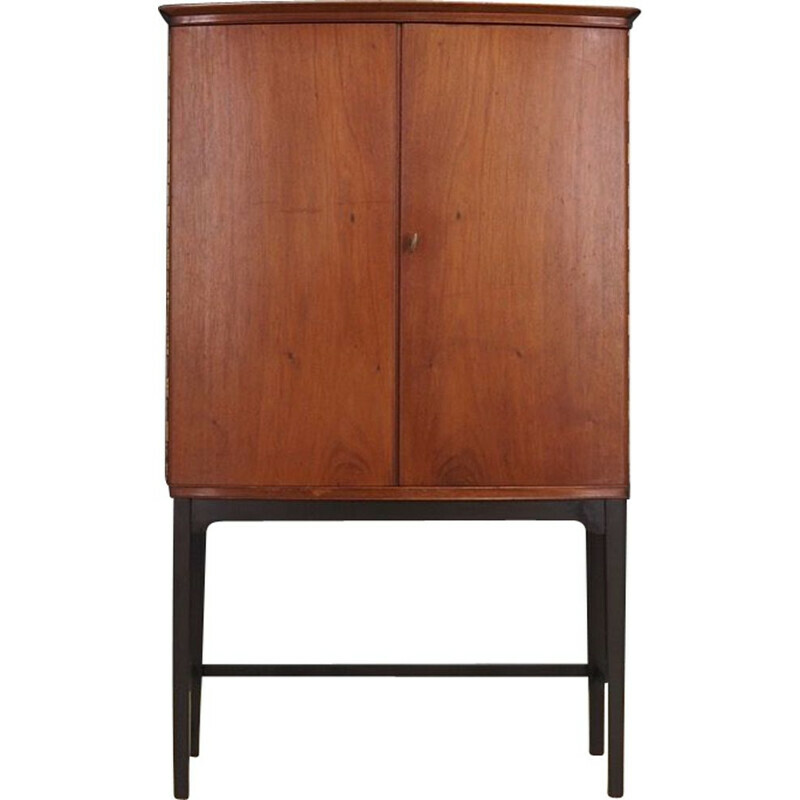 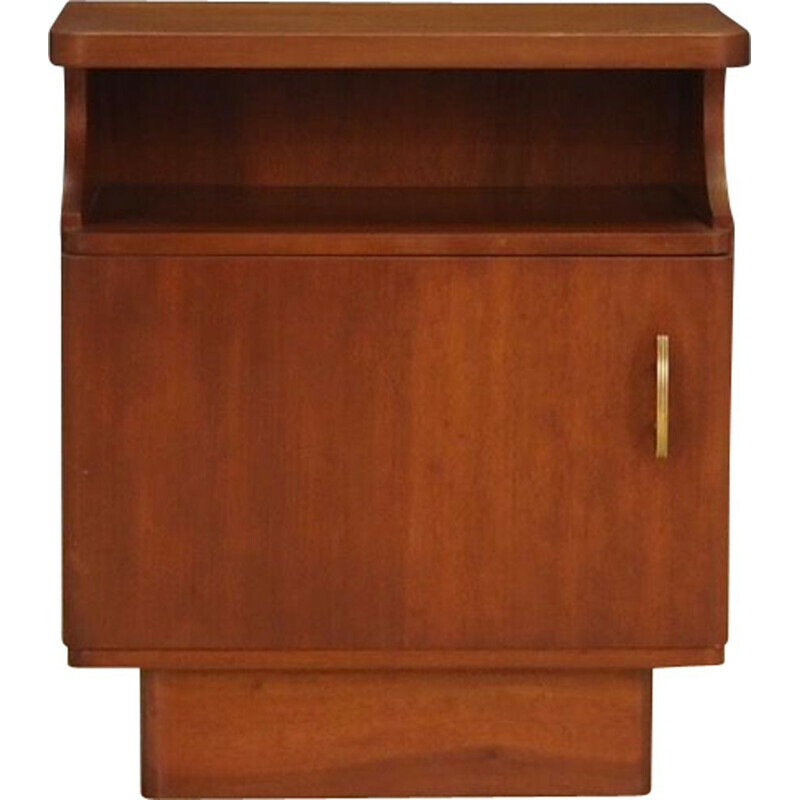 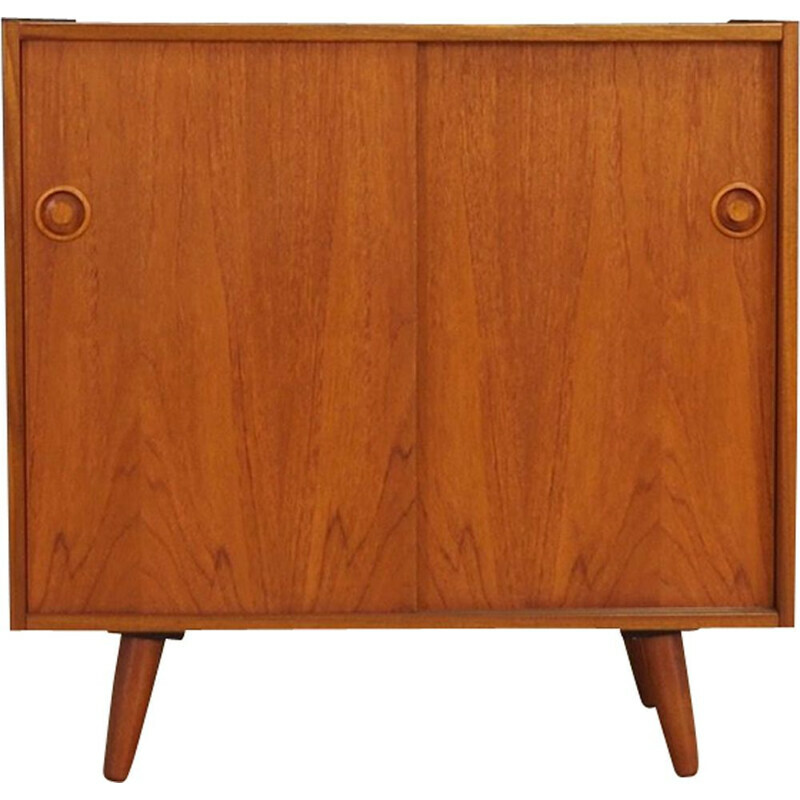 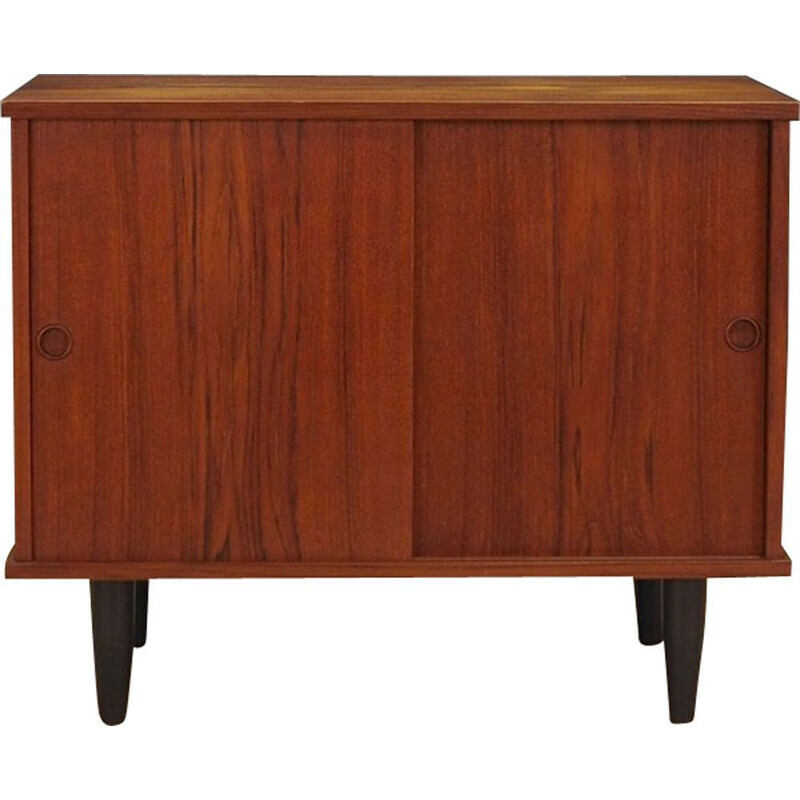 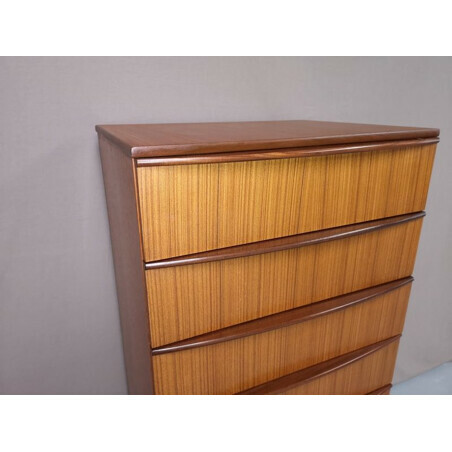 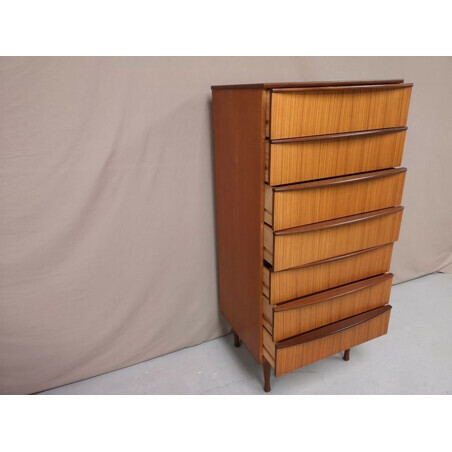 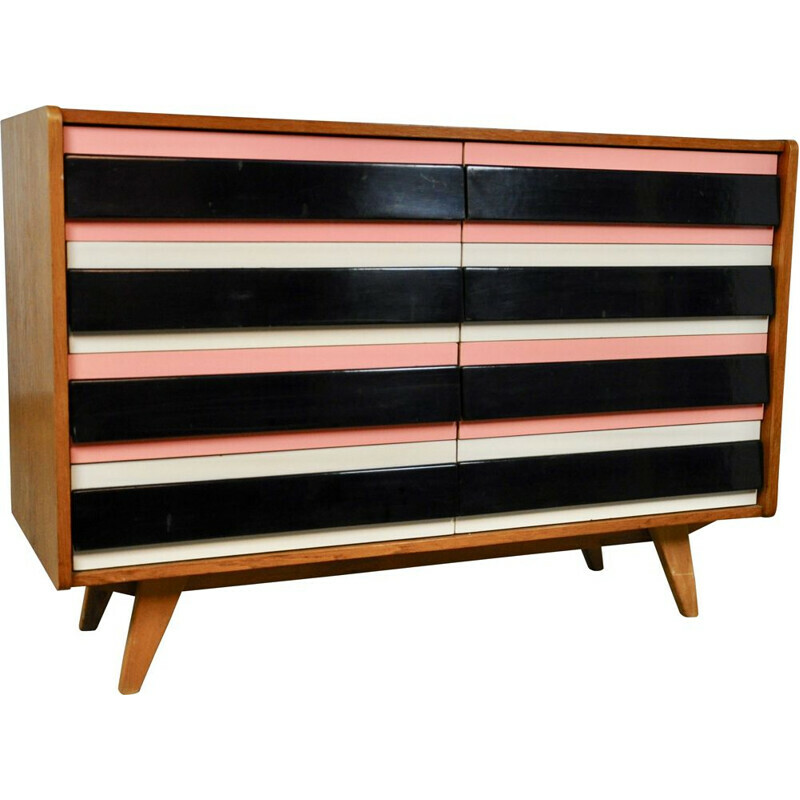 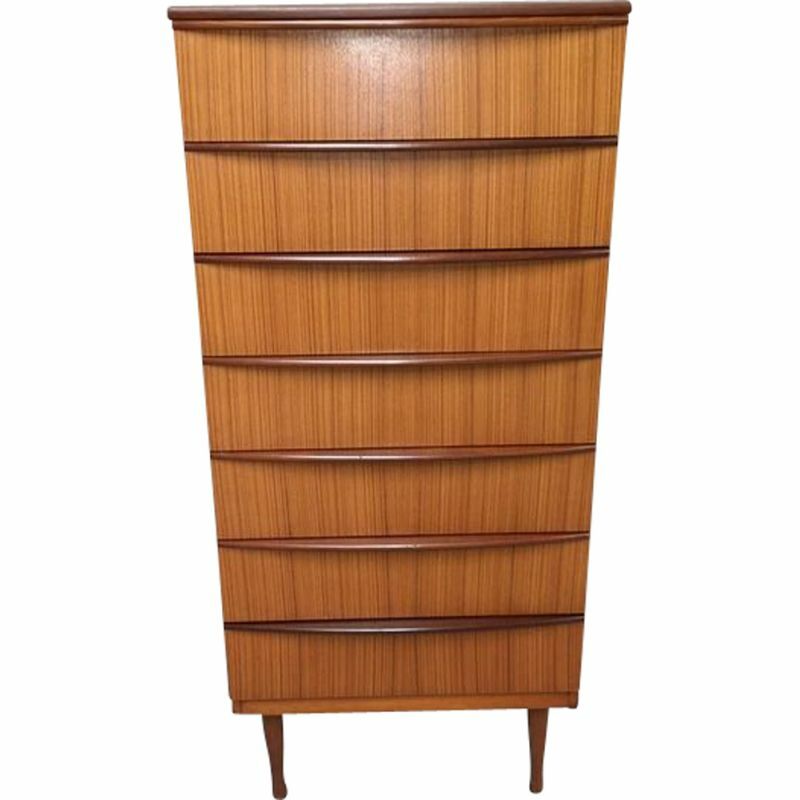 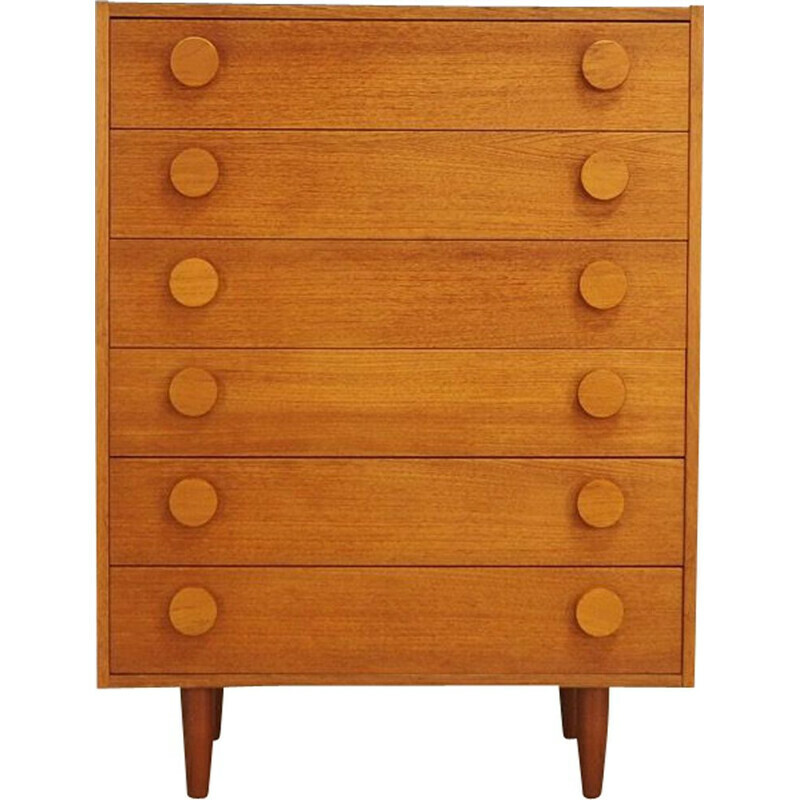 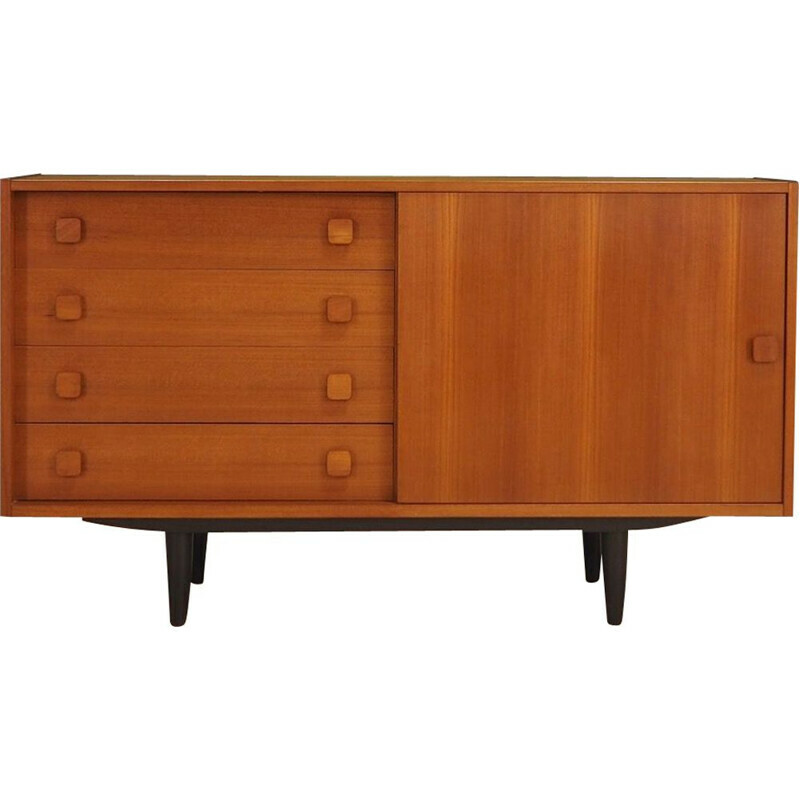 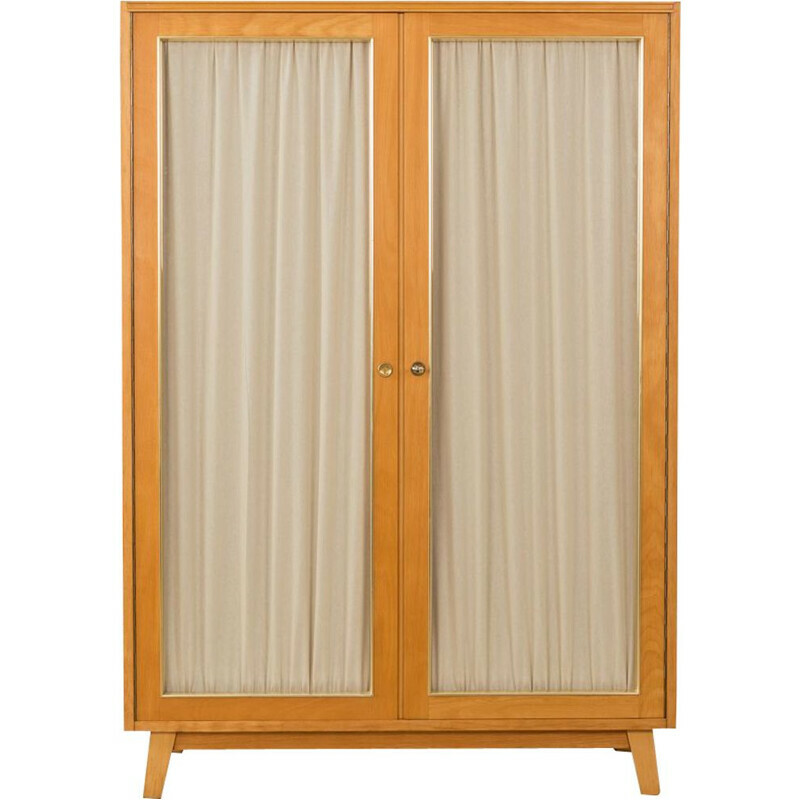 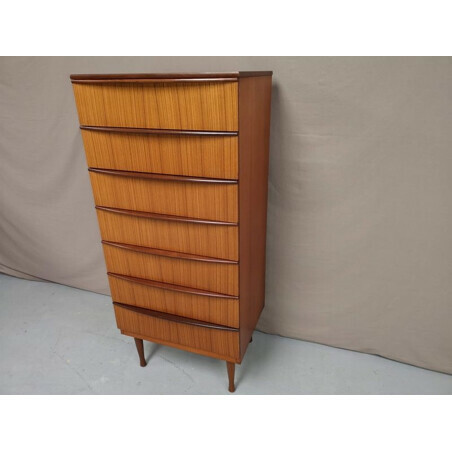 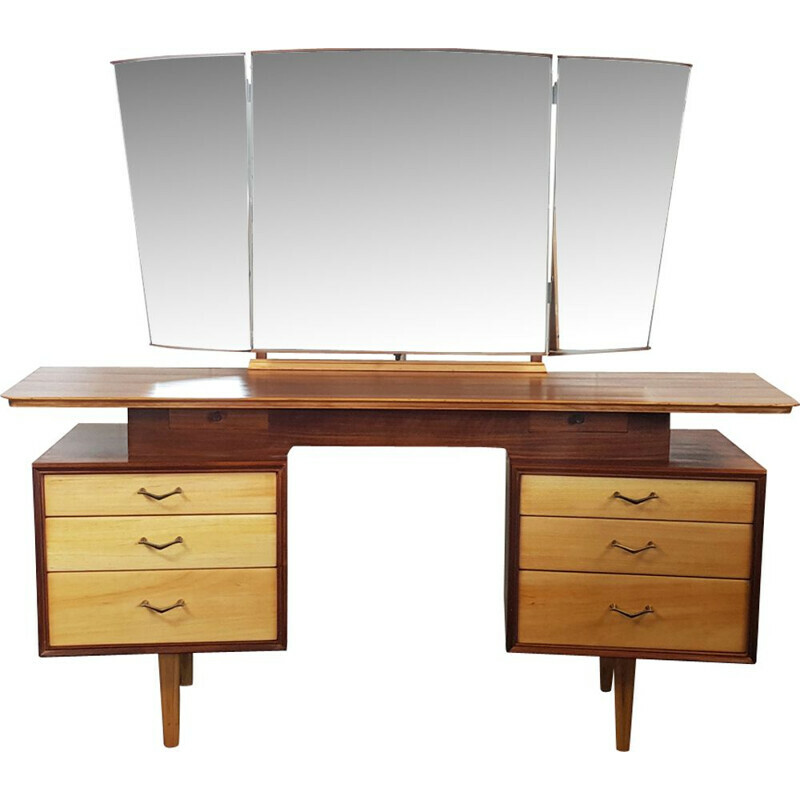 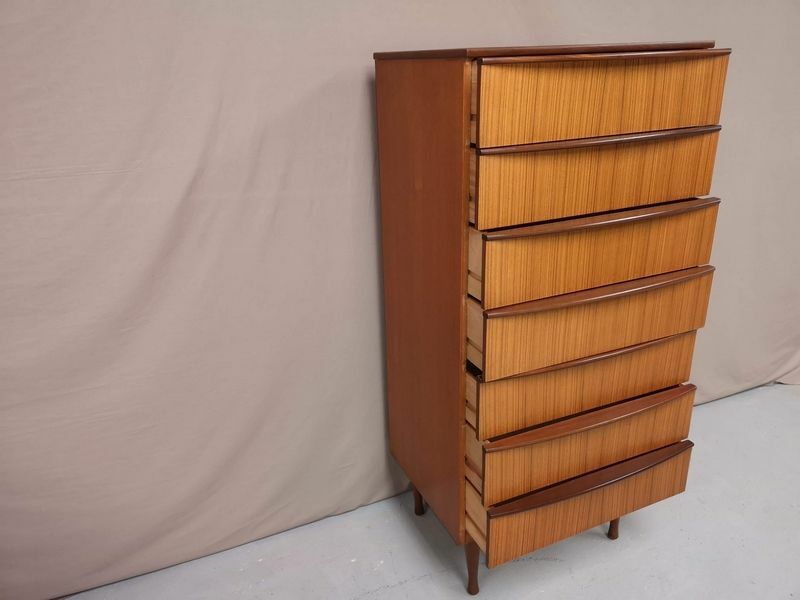 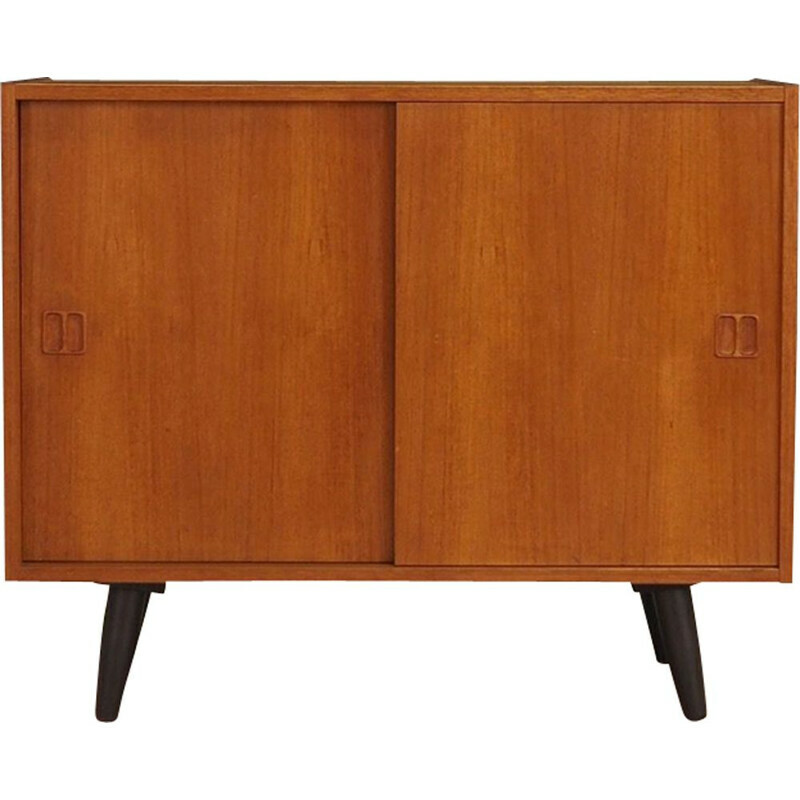 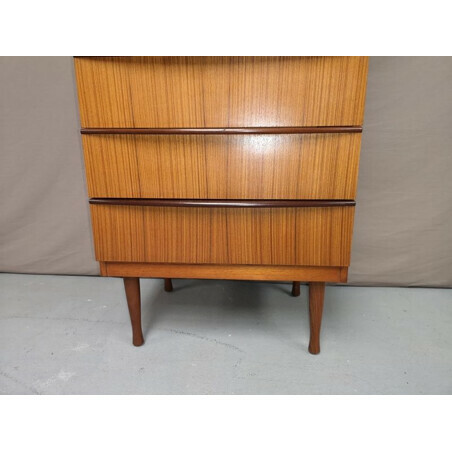 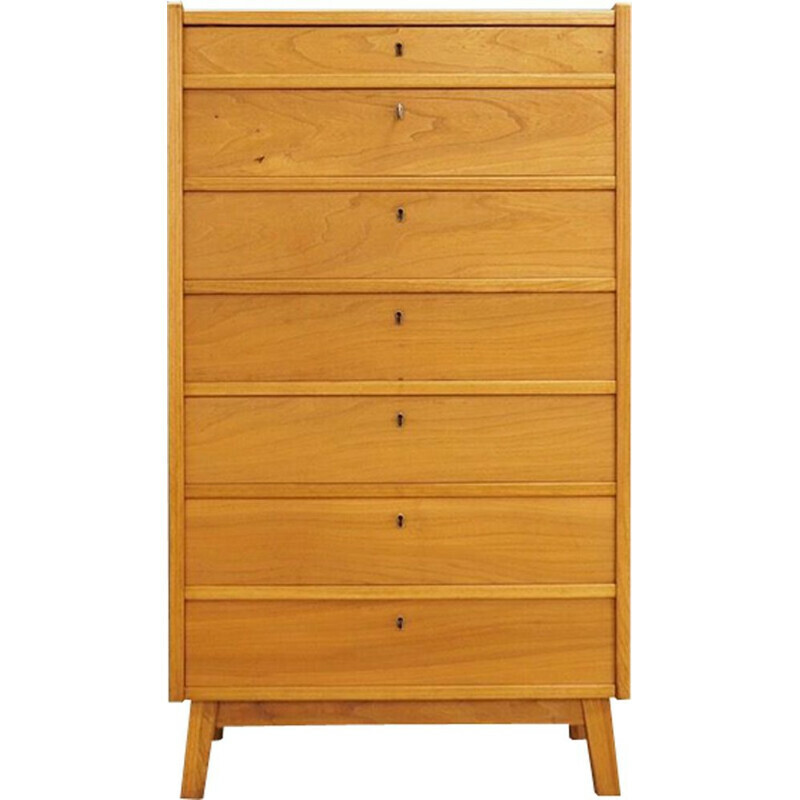 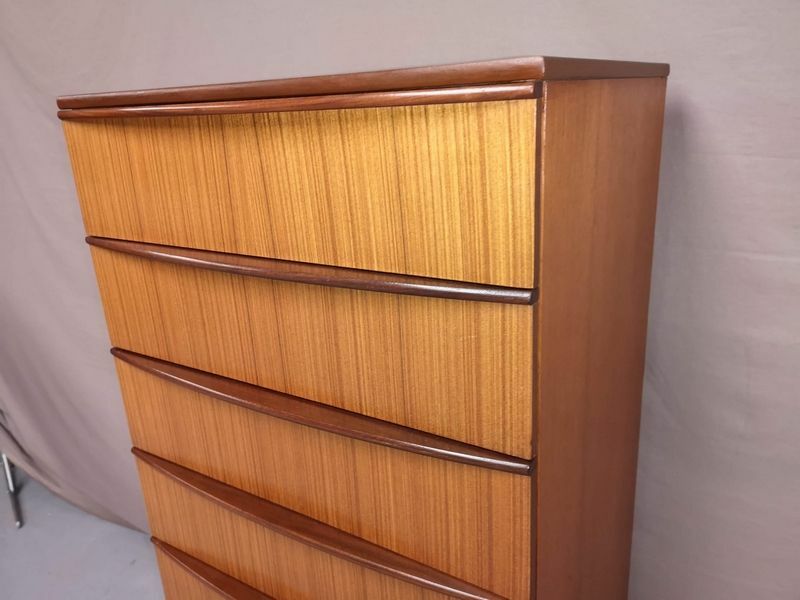 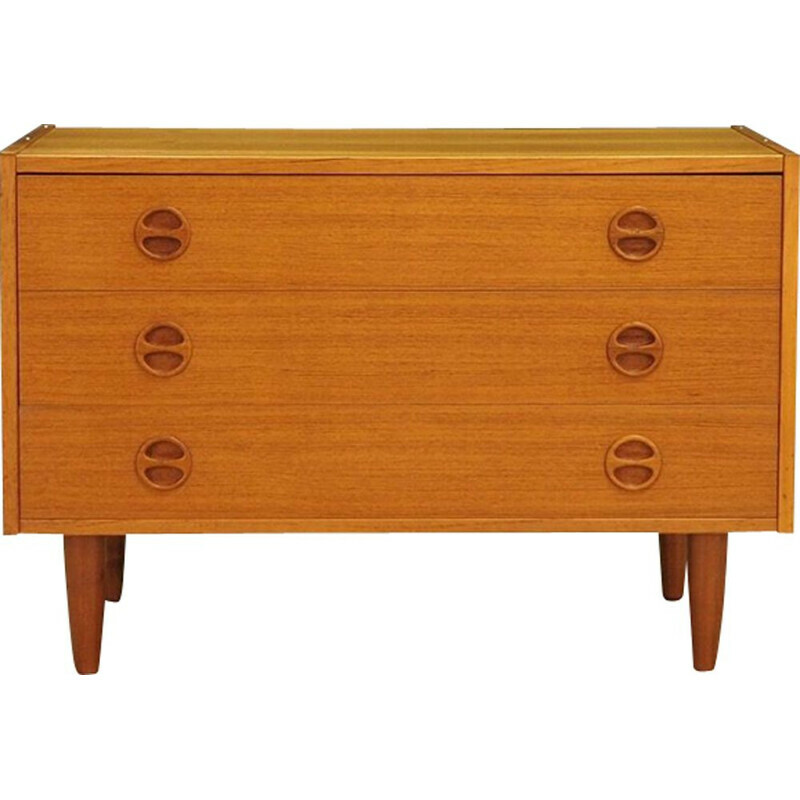 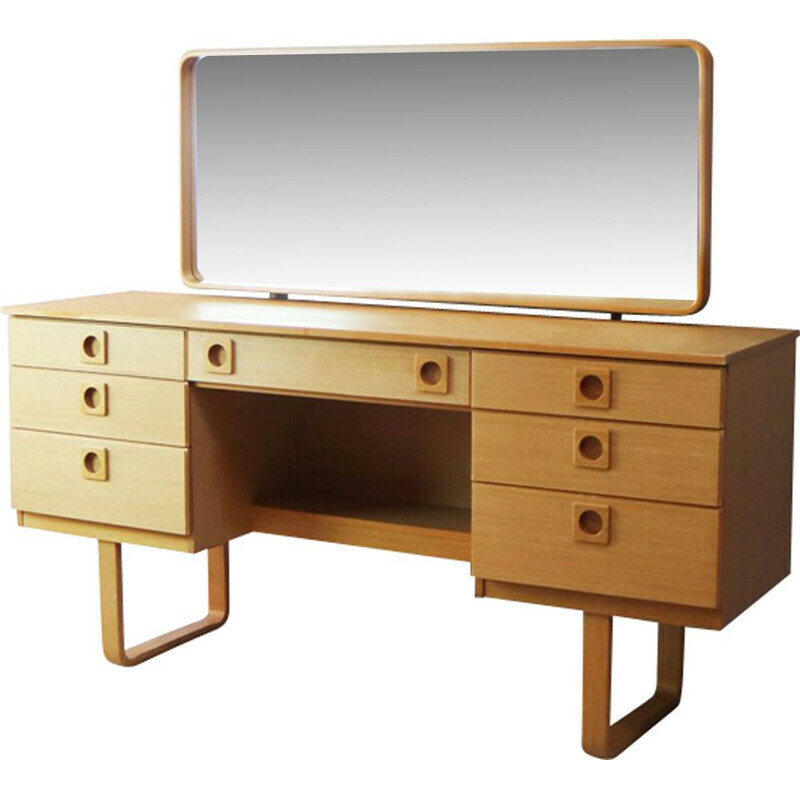 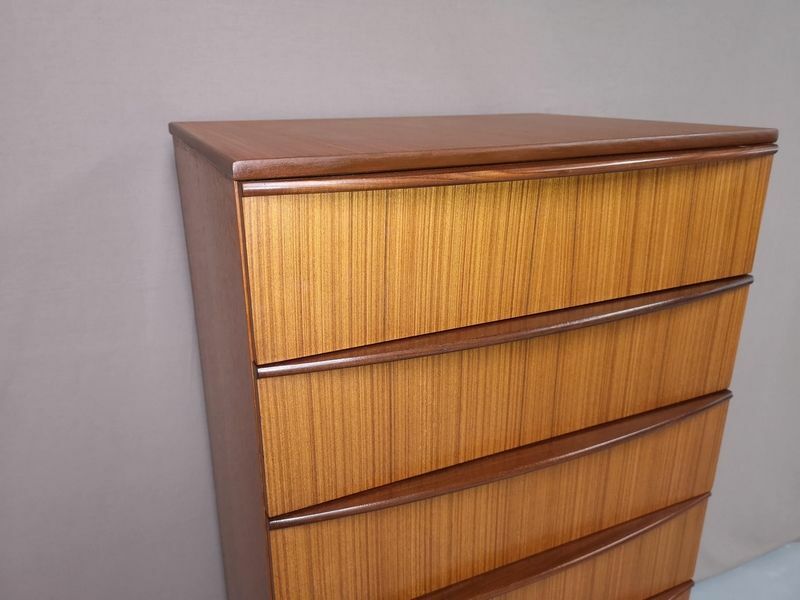 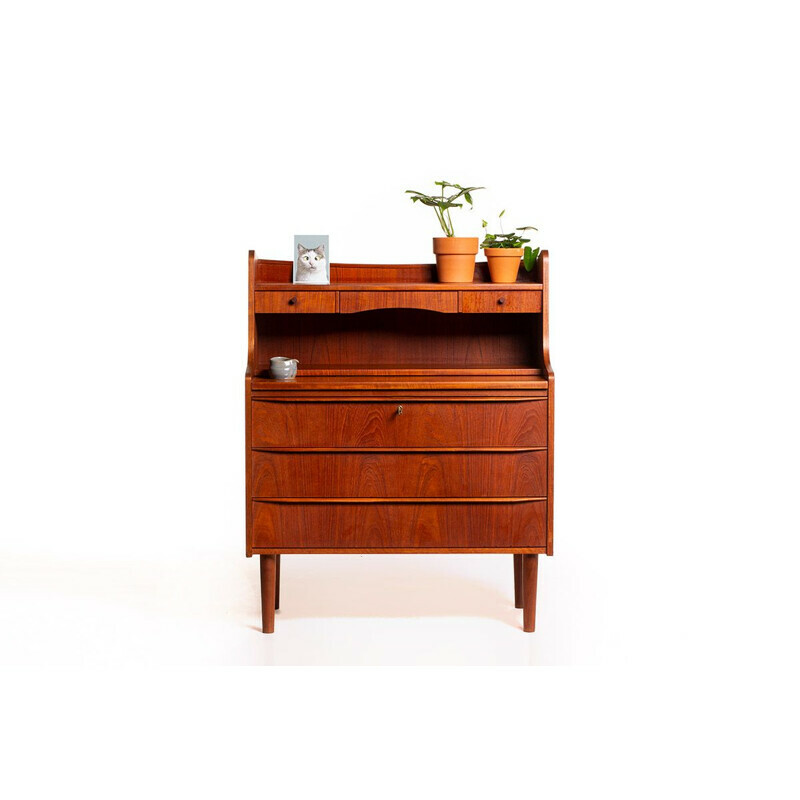 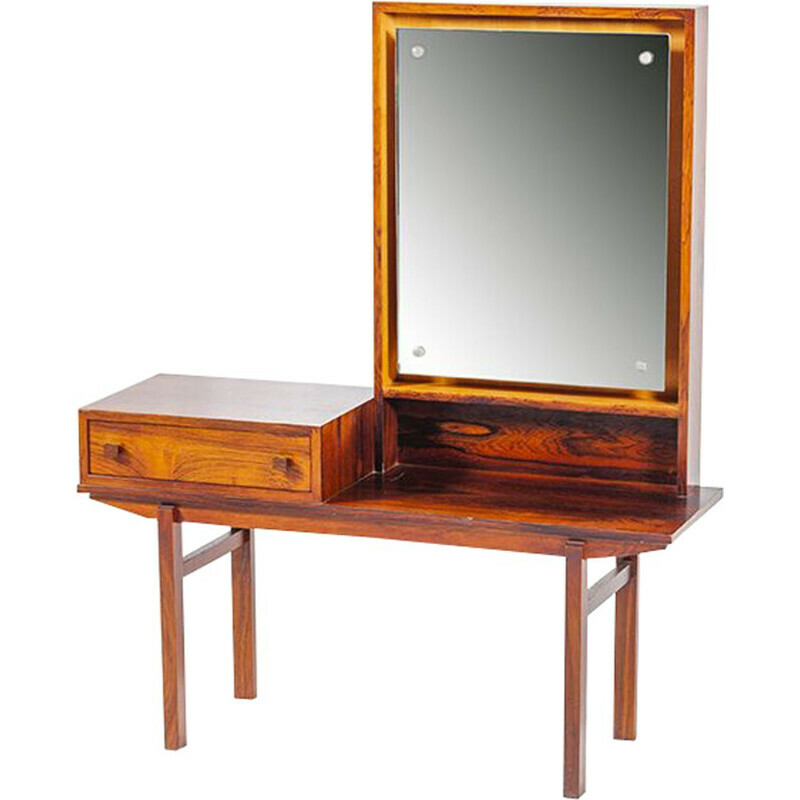 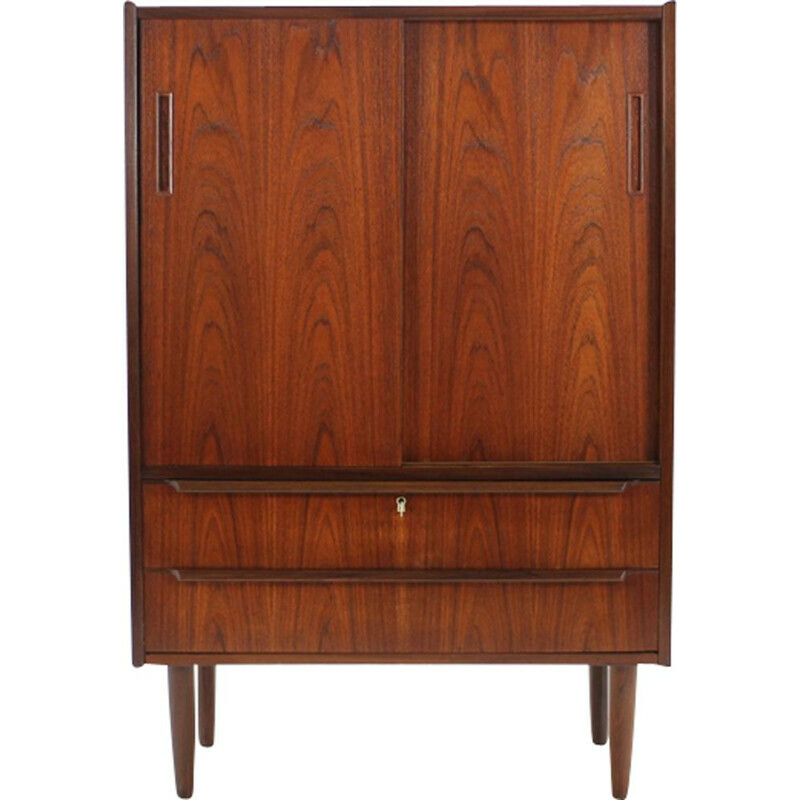 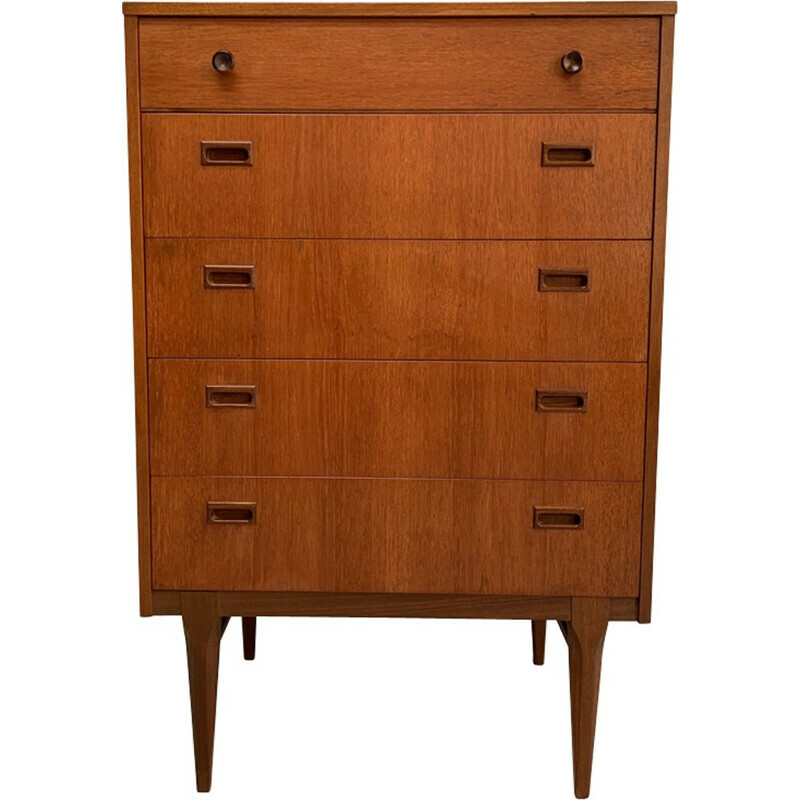 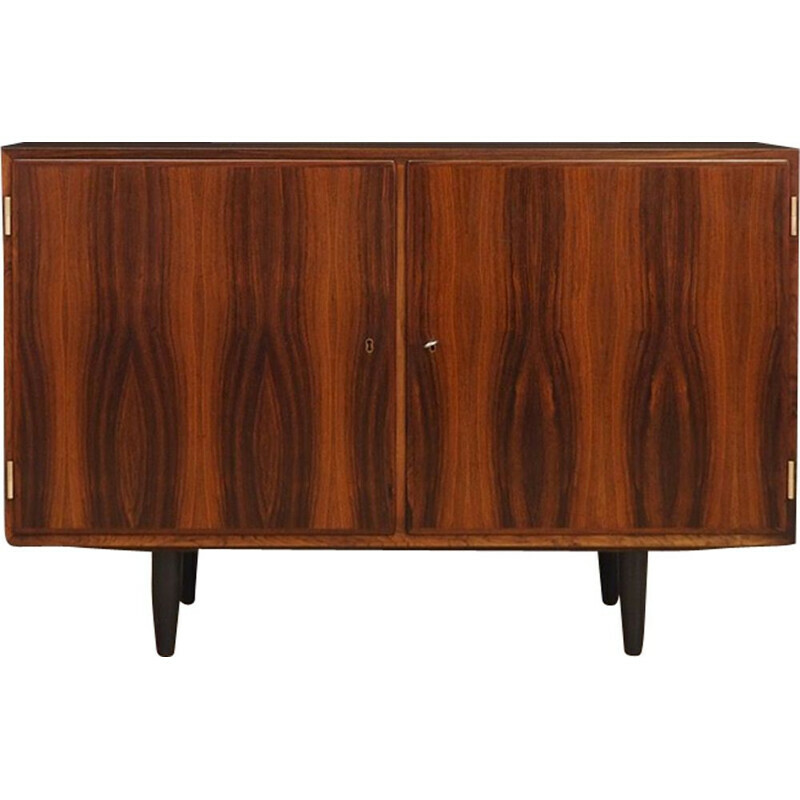 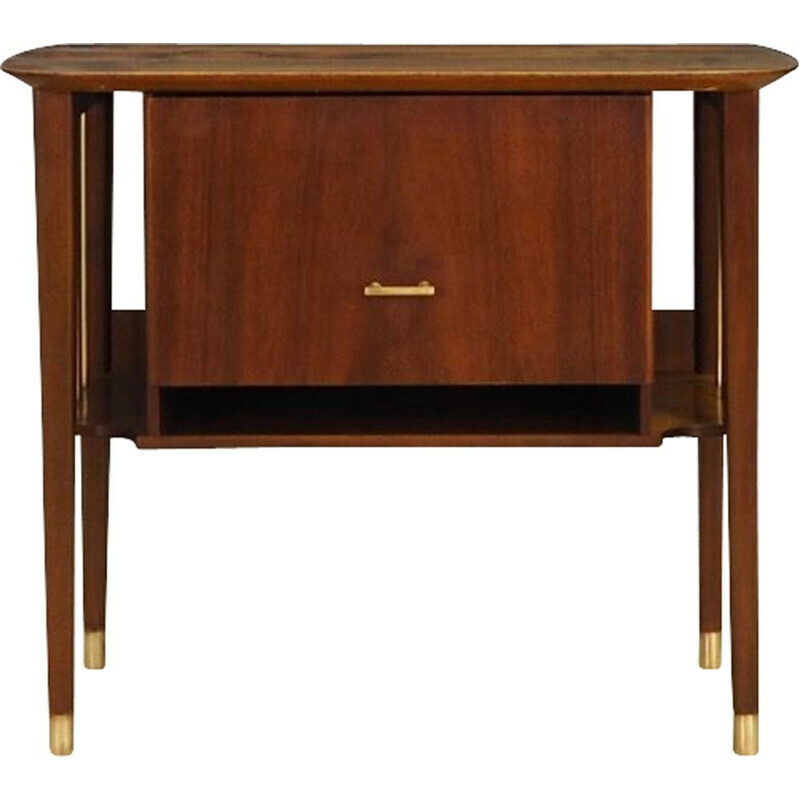 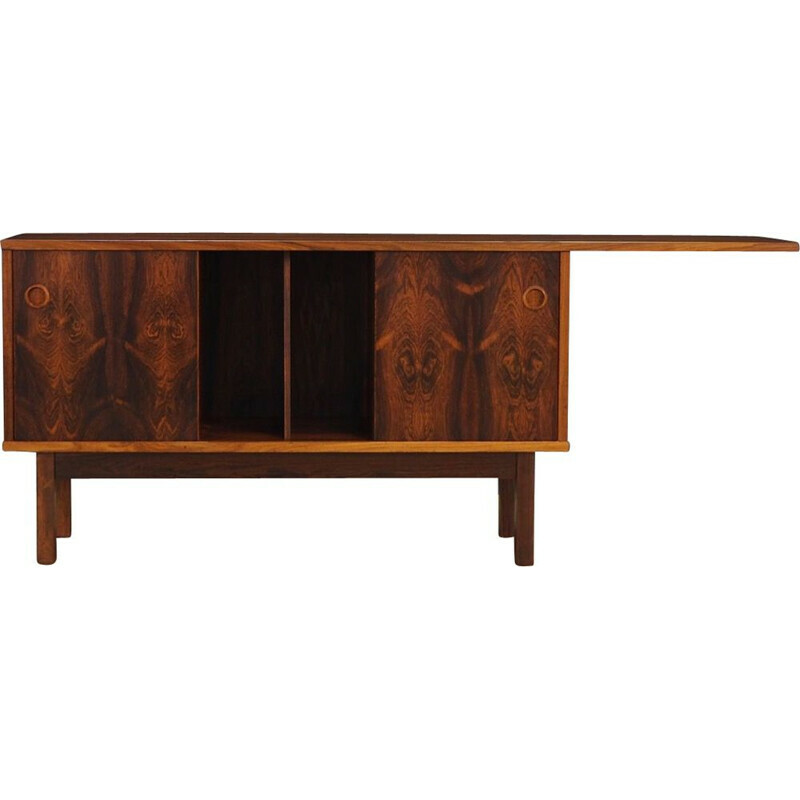 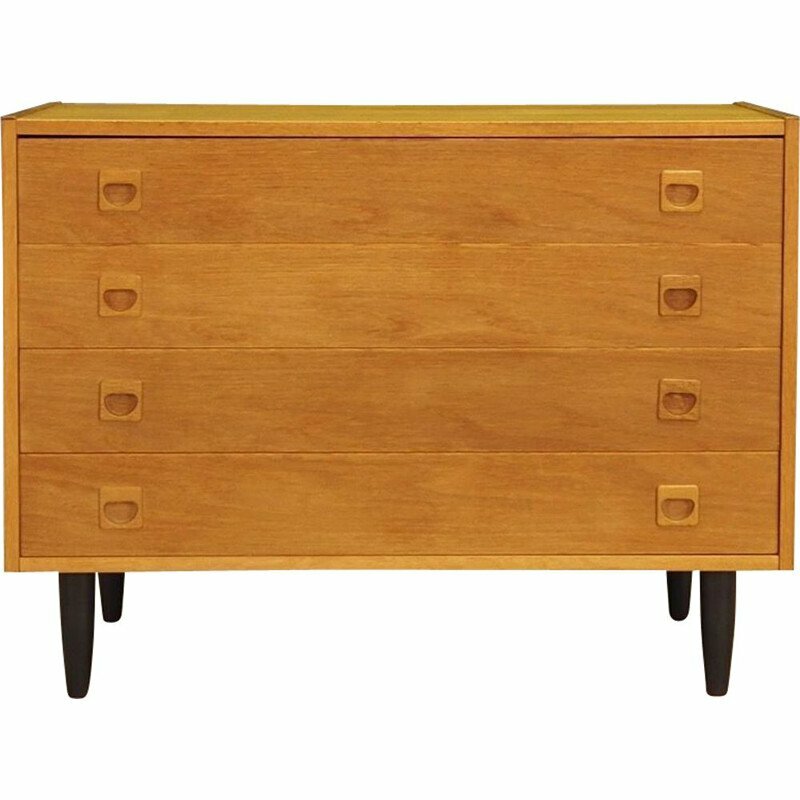 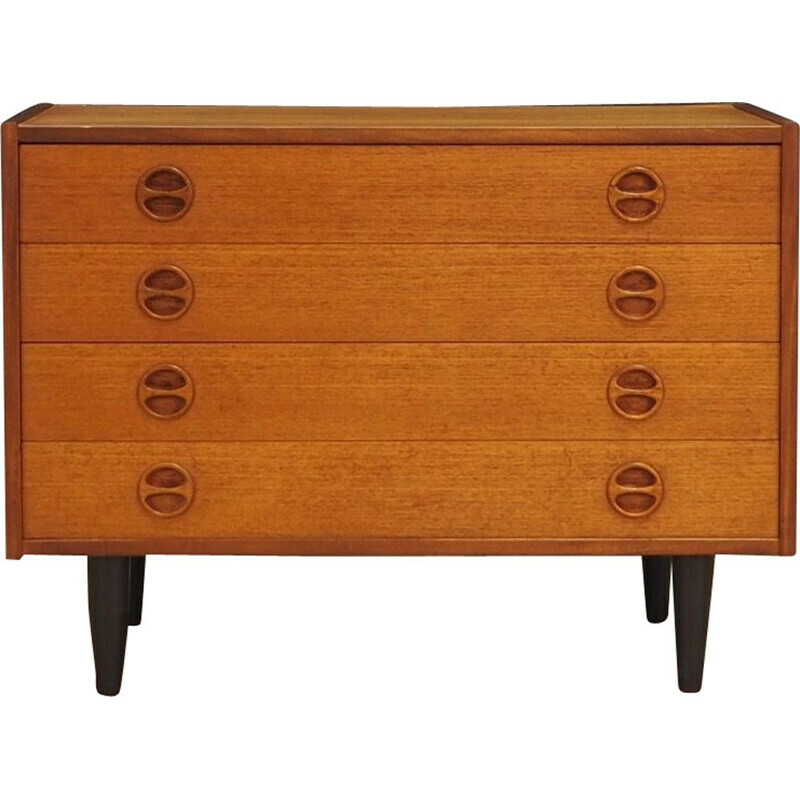 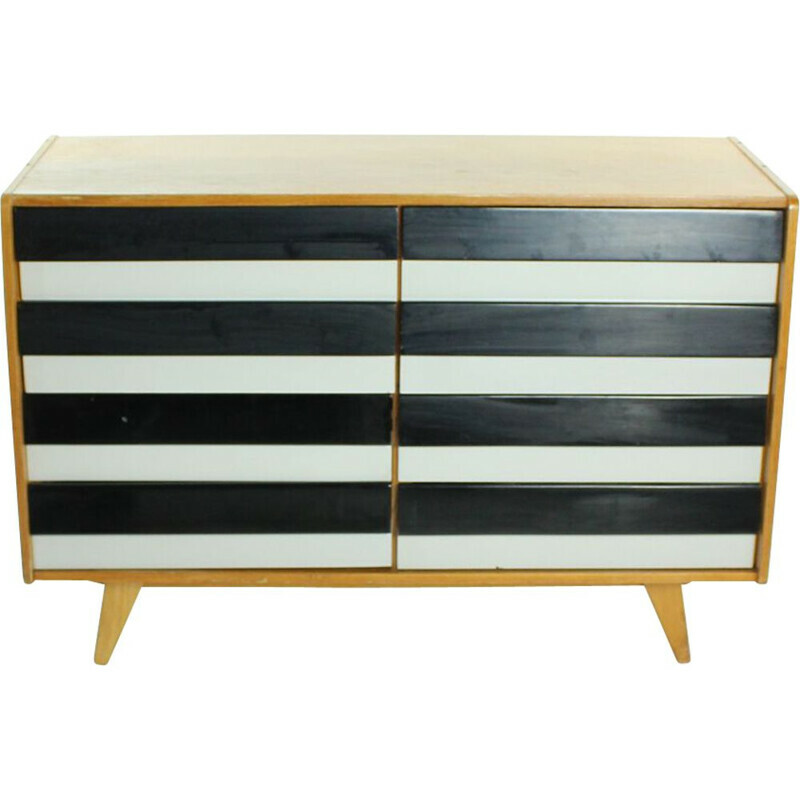 A piece of furniture dating back to the 1970s, teak. 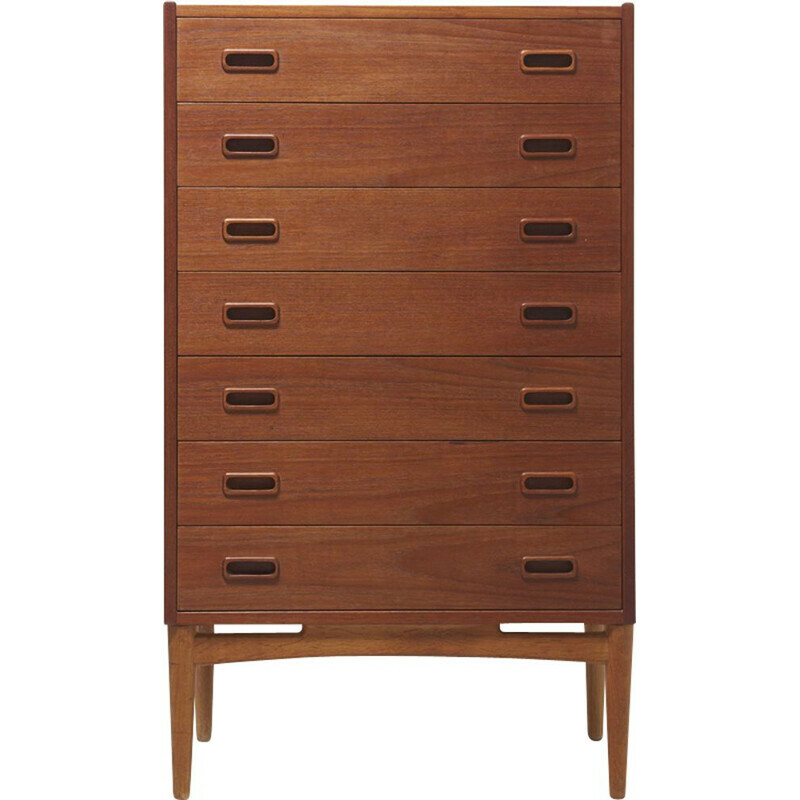 Seven drawers to store. 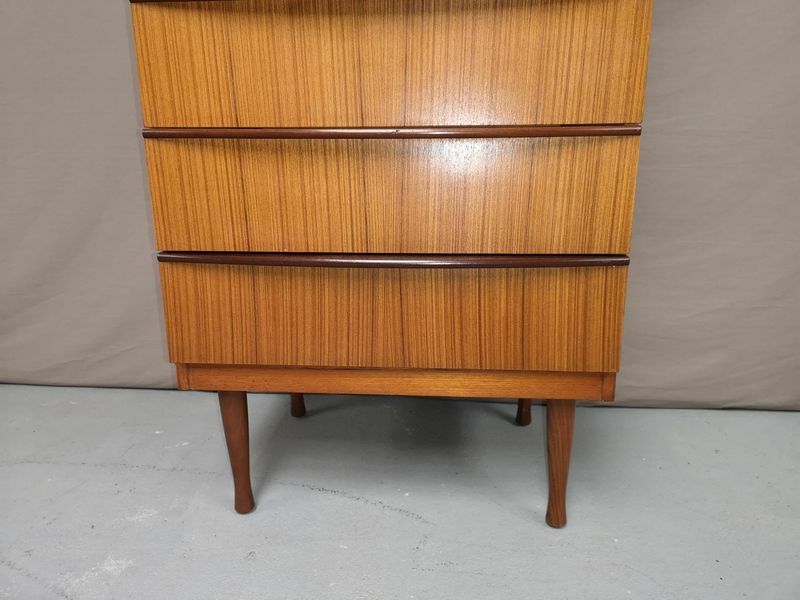 The feet are straight and round, and the handles are design.